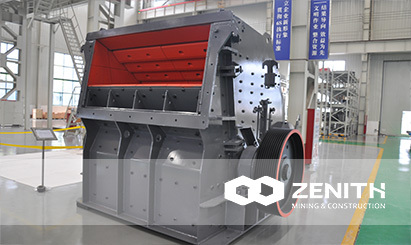 To satisfy users’ requirements for high profits, low costs, and energy saving, and to overcome the shortcomings of conventional crushing equipment such as complex operation procedures and low crushing efficiency, ZENITH as a world-class supplier of crushing equipment used in mines, according to the feedback from users in more than 160 countries as well as its experience in engineering application, and taking into consideration of the latest scientific research achievements, has developed the new generation of high-efficiency coarse and medium-fine crushing equipment – CI5X series impact crushers. They are ideal upgrade of conventional crushing equipment. Integrated application of many latest scientific research achievements, for example, those concerning crushing chamber, rotor and adjusting device, based on the analysis of technical details and operating conditions of a good many domestic and foreign impact crushers makes CI5X series impact crushers internationally most advanced in respect of crushing performance and easiness of operation and maintenance. Compared to conventional crushing equipment, CI5X series impact crushers present higher reliability, safety, and strength as they are designed with computer-aided finite element design software ANSYS, and fabricated with raw materials of first class quality. The crusher maintenance costs are greatly reduced with the service life extended. Excellence of CI5X series impact crushers comes from their first-class structural design and material selection, pursuing perfection in every tiny detail. High reliability, maintainability, and operational convenience are ensured besides high strength and performance. Replacement of vulnerable parts and maintenance of the machine are simplified by ergonomics design with both production interruption time and operation cost reduced.